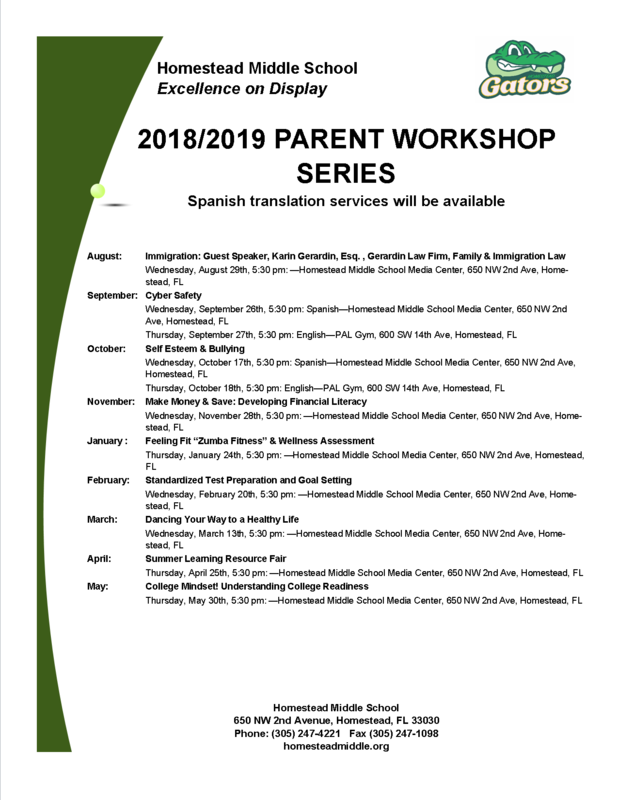 Homestead Middle School (HMS) Language policy is a live document developed by staff members and administration. At HMS language is very important in our teaching and our learning strategies as it develops understanding through communication and cultural awareness. The policy is consistent with the principles and practices of the International Baccalaureate (IB). This policy is intended to provide guiding principles for inquirers and risk-takers to communicate in our culturally rich and diverse environment. English is the only language used in both teaching and learning in our Language and Literature classes. Students use the language in writing and orally to develop skills in both spoken and written English in accordance with the schools English Language Arts curricular frameworks. It is paramount that our students learn to use the language appropriately and accurately as English is the only language used for students to meet state standards. This is also the language that ties all the classes together enabling cross-curricular exchanges through the IB concepts and contexts. Students who have scored a level 1 or 2 on the Florida Standards Assessments (FSA) are assigned an Intensive Reading class in addition to their Language and Literature class. This reading class is designed to address the student’s specific reading needs. The goal is to help them develop mastery of the English language and to meet them where they are increased proficiency of the English language. At Homestead Middle, it is important that our students become fluent in a second or even a third language. Students are provided the opportunity to acquire a language other than English. All our students receive instruction in either French or Spanish where they learn to communicate in a variety of ways. Through different learning phases, students are able to reach their full potential. (Our aim is to encourage students to explore languages as a mean for communicating and understanding people of other cultures). International mindedness, cultural awareness and historical contexts are viewed through different lenses while virtually visiting French and Spanish speaking countries throughout the world. Students are given opportunities to express themselves through a variety of genres. They acquire, develop and use language specific to different subject areas. This gives them the opportunity to develop oral language beyond the classroom. Our students are assessed at the emergent level and some at the capable level. At HMS, we are a diverse school. While some of our students join us speaking only English, others speak two languages and some even three. In fact, the majority of our students are speaking another language at home (Spanish, Haitian Creole, Jamaican Patois, Mam, Achi, Misteco, French, Ebonics, and many other regional dialects). Our multicultural staff is always ready to provide support to students and parents. The teachers who are placed in our English for Speakers of Other Languages (ESOL) program are certified to develop fluency in English while respecting students’ home language. We also provide support to our students and their families to enabling them to adjust to the new language, learning environment, and culture. Our library has a vast number of books in many of our students’ languages. The books are not only for our native speakers but also for all our students, opening to them a vast cultural collection.  Library with books in several languages including Spanish, French, and Creole.